Siklo Pilipinas: Makers of upcycled tyre inner tube bags for eco-ethical lifestyle. Founded by couple, Lyndon Ecuacion and Clarice de Villa-Ecuacion, Siklo Pilipinas repurposes “interior” or the inner tubes of bike tires into waterproof bags. Not only is each bag made with care and crafted by hand, each bag is part of a sentiment which advocates for an eco-ethical lifestyle and conscious consumerism. Siklo Pilipinas is happy to be part of the conversation regarding climate change issues and environmental concerns. So far, over seventeen tons of discarded inner tubes and bike tires have been upcycled and hand crafted into a bag, each with its own individual design. Bambu Technologies is happy to partner with Siklo Pilipinas and carry some of their bike-related products in the BT Store. Check out a community based in the Philippines with a shared love of bikes and collaborating with other people who also love bikes. Initiated by Eng Chan. A visual artist by profession, Eng participated in the 2009 bamboo bike building workshop conducted in the Philippines by Craig Calfee, owner of Calfee Designs and founder of Bamboosero that launched bamboo bike frame building as a source of livelihood in developing countries. Passionate about the craft, Eng aspires to fashion bamboo bikes out of the more than 1,000 bamboo species in the world. Eng will be collaborating with us in the Bambu Technologies Outreach program. Powered by plants. The Super Sap technology replaces petro-chemicals with renewable, bio-based materials. Entropy Resins' products require less energy and produce less harmful byproducts, reducing the greenhouse gas emissions from production by 50% over conventional petroleum based epoxies. Entropy Resins mirrors our belief in lessening our impact on the environment and gearing towards a more sustainable earth. Sidelined by work, obesity and diabetes, a jolly young man named Deejay Viloria is going to bid his family and work farewell and ride his bike from Chula Vista to San Francisco (500+ miles) in the winter of 2016. Disadvantaged not only by his physicality and health, he will face the long isolated roads, unforgiving climbs and unpredictable winter weather conditions. Deejay is by no measure an athlete who trained for this kind of cycling adventure. After his trip from the Philippines last December (2015), Deejay realized the need for a radical switch in his outlook. Instead of just surviving with diabetes, he wanted to take control of the disease and explore the possibility of being healthy both mentally and physically. In the end of 2015, Deejay decides to finally fulfill his dream to ride from the Olympic Training Center in Chula Vista, CA to the Golden Gate Bridge of San Francisco, CA. It all started from a personal dream that became larger and more real than what Deejay has ever imagined. We are proud to be partners with Deejay in his endeavor. 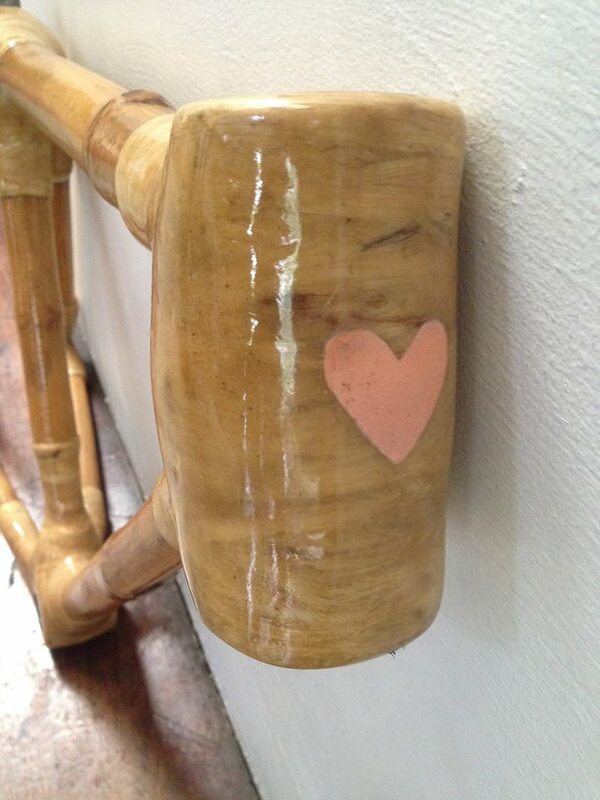 In support of his cause, we crafted a Custom Built Bamboo Bike for parts of his journey. Elevation Athletic Training is a non-profit organization created to support and promote the development of young men and women through educational and athletic training. Believing in his cause, Bambu Technologies has collaborated with the organization by donating a Custom Built Bamboo Bike for fundraising efforts. Craig Calfee, founder of Calfee Design, built the first modern bamboo bike in 1995 and continues to be amazed by the strength and ride quality of these bikes. He has been the primary mentor of Bambu Hub's founder since 2010. Bambu Hub still collaborates with Calfee, utilizing his tooling kits, materials, and methods in the building of Bamboo Bike Frames.